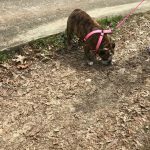 3/23/18: Please welcome Pumpkin! 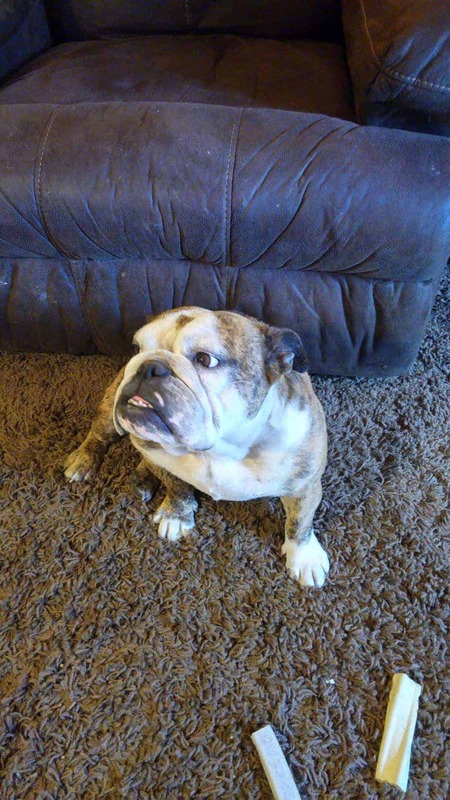 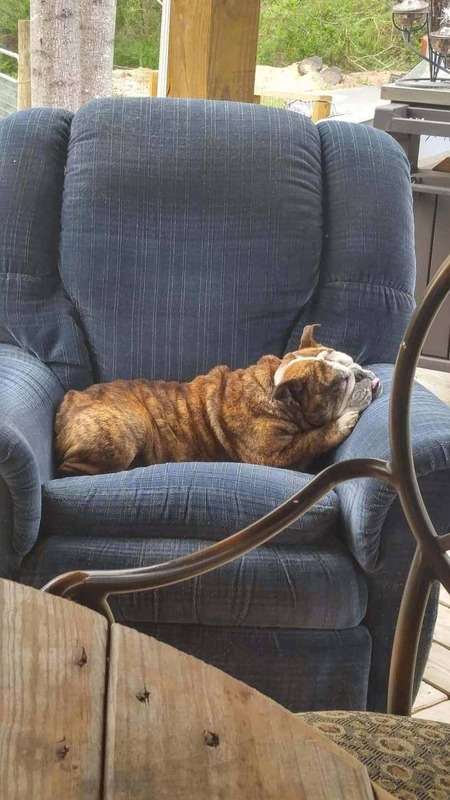 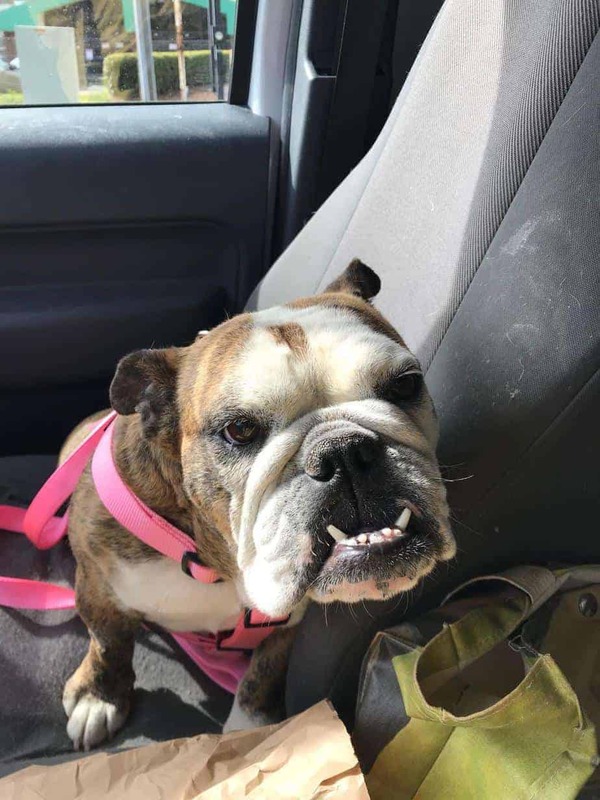 She was recently purchased by a family that wanted her as a friend for their bulldog. 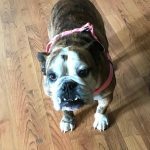 Two weeks after getting her their bulldog was hit by a car and passed away. 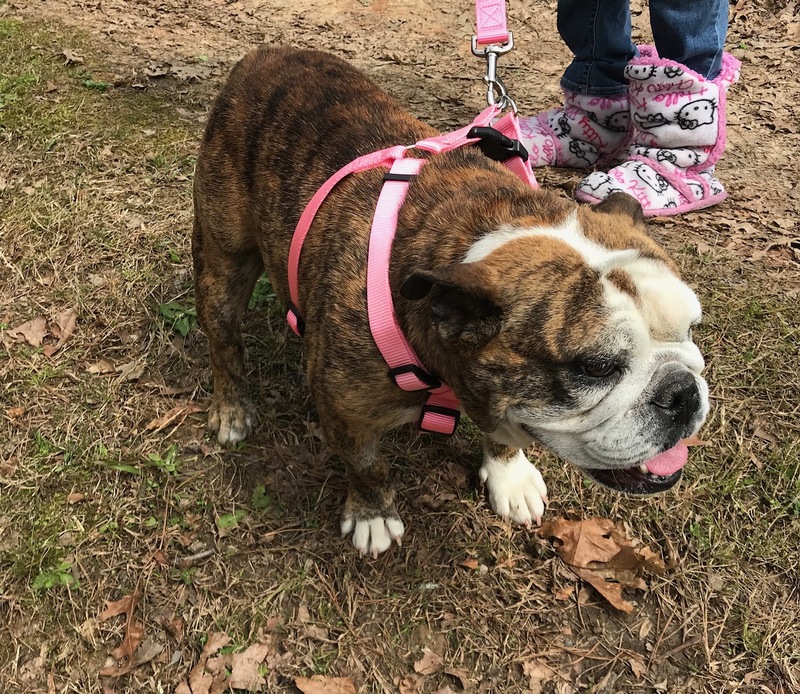 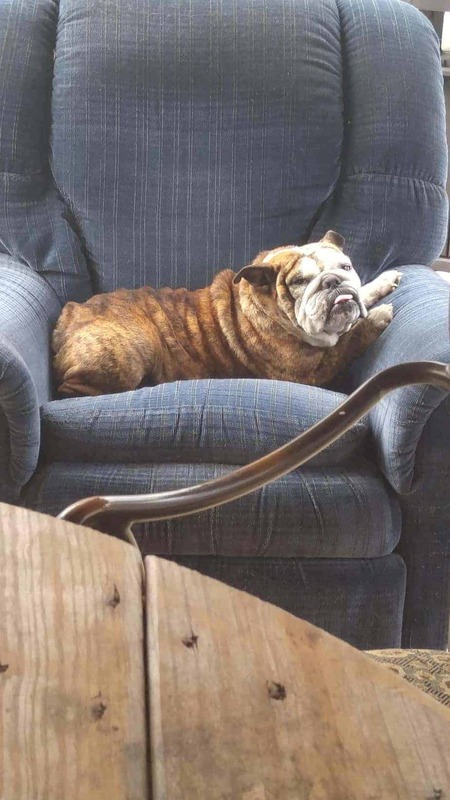 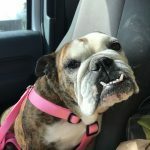 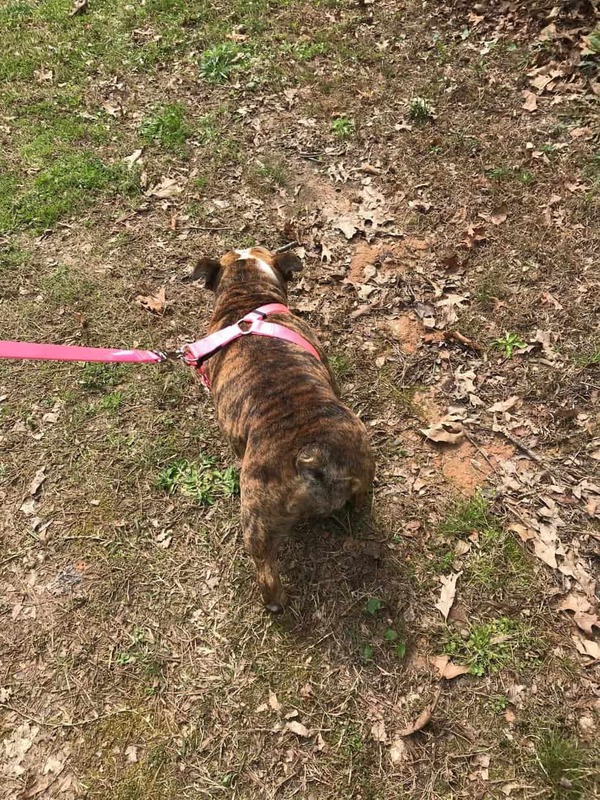 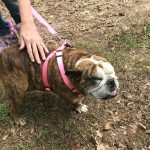 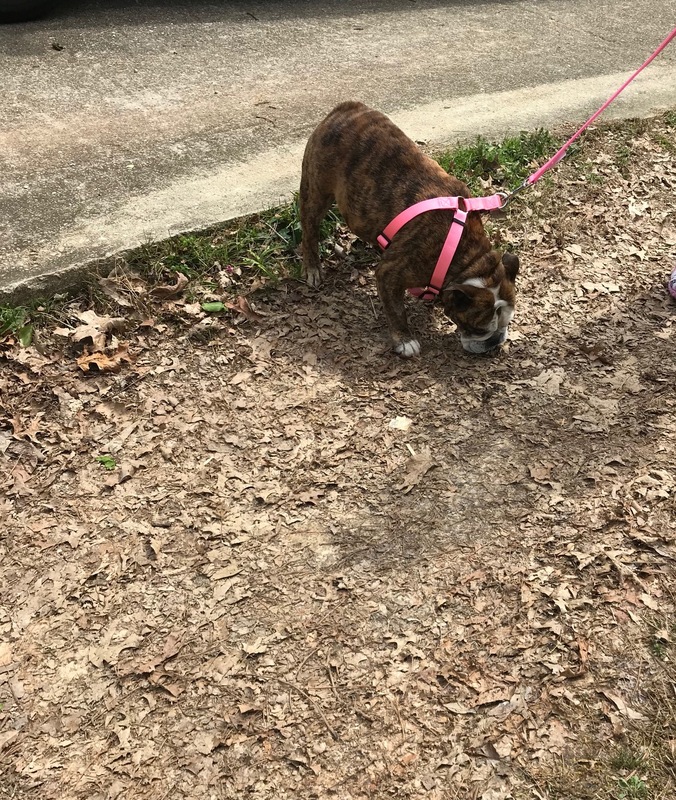 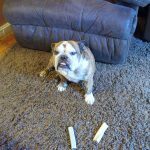 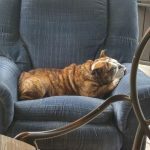 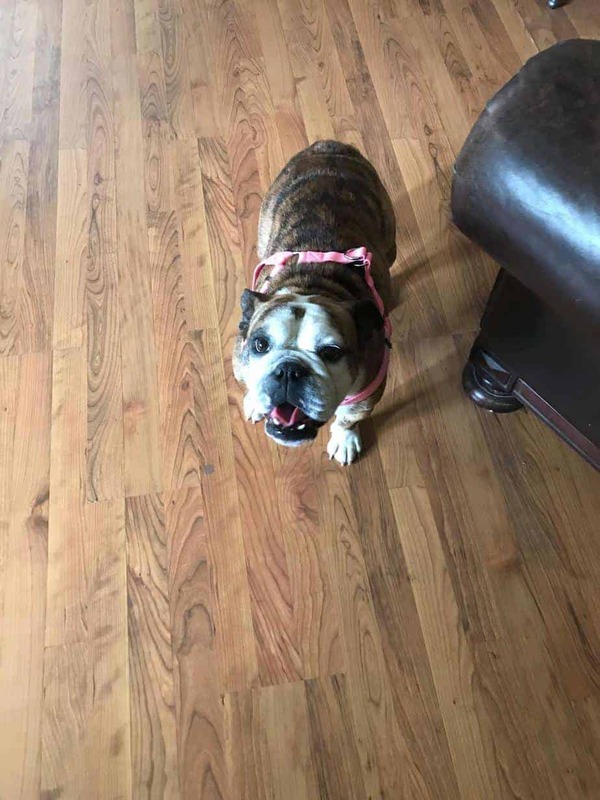 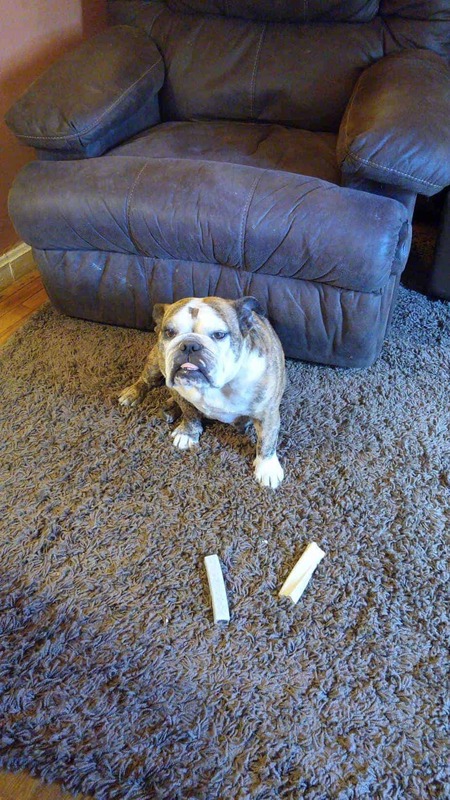 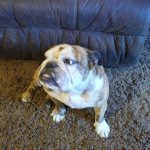 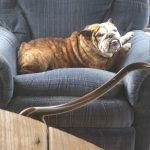 They reached out to us and asked us to take Pumpkin in since they did not feel they could give her the love she deserved so soon after losing their other bulldog. 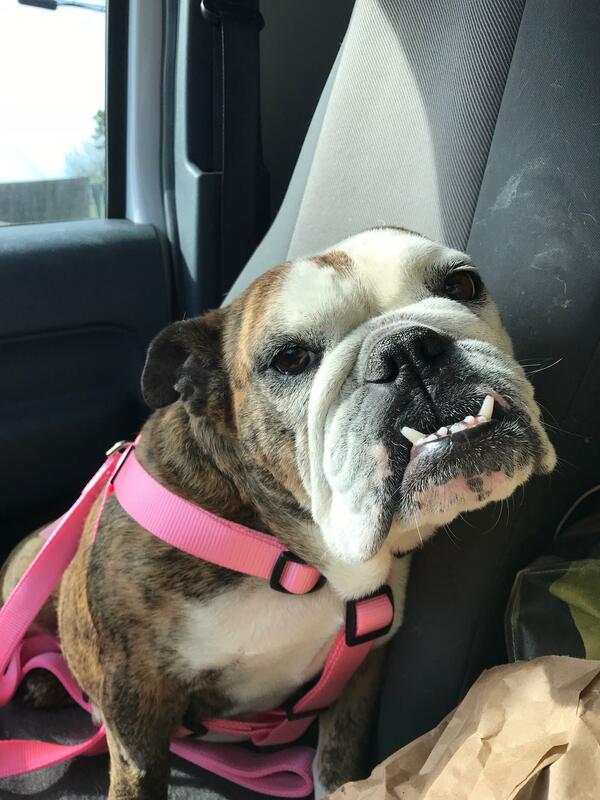 She needs to be spayed and have her palate shortened. 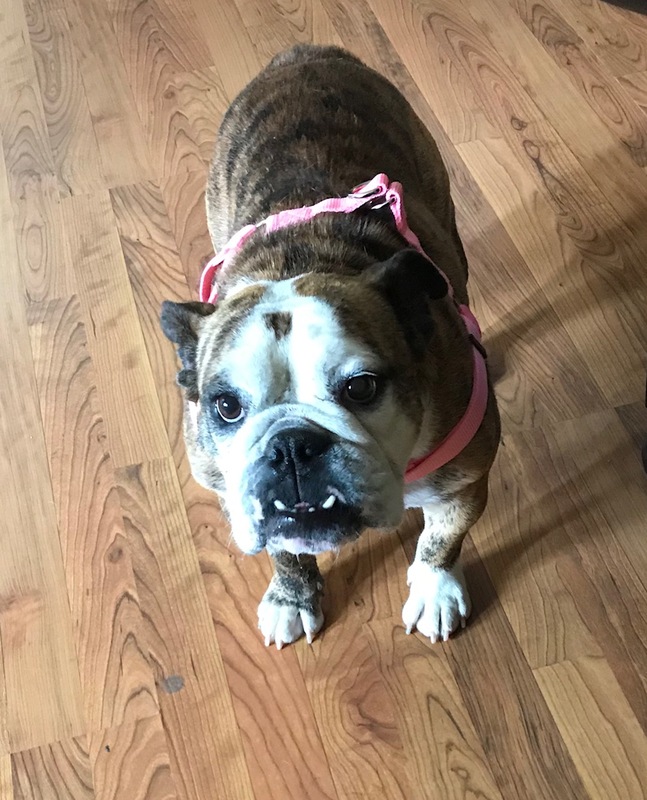 She is three years old. 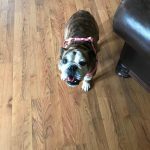 She likes dogs, cats and young children. 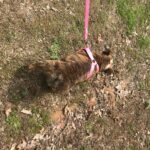 Update 3/25/18: Pumpkin had her surgery today and all went well! 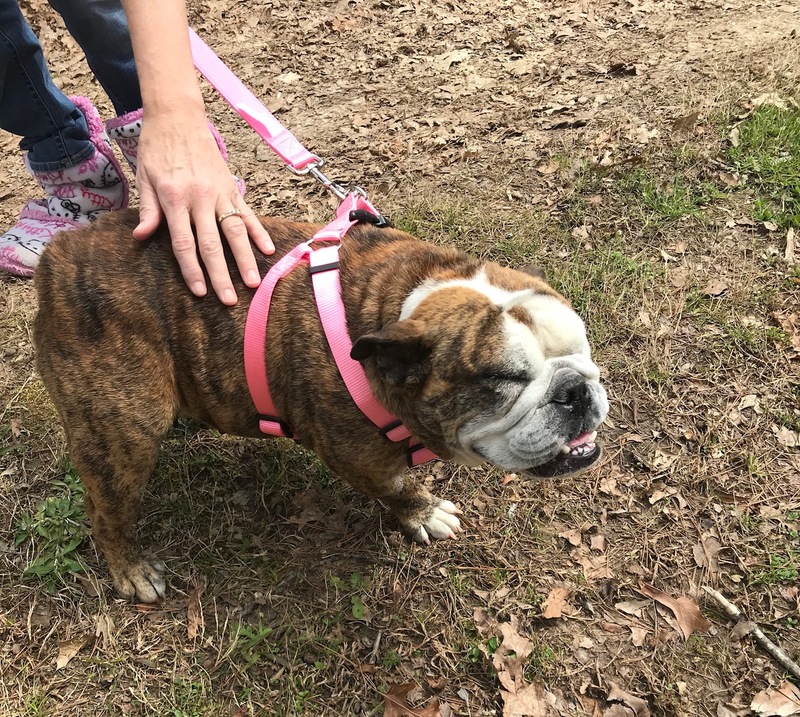 We will update when we learn more about her personality. 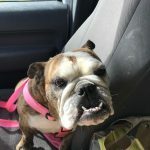 Update 6/14/18: Pumpkin has been adopted by her foster family. 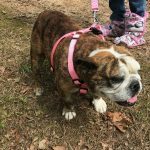 Congrats Pumpkin and Adair family!